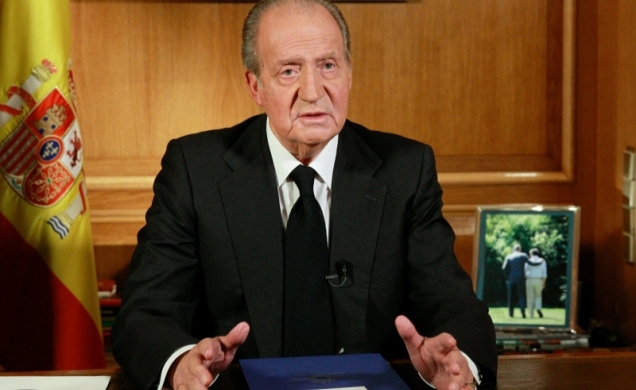 King Juan Carlos today mourned the death of Adolfo Suárez, the first Prime Minister of the post Franco era. Suárez was a key player in the King’s effort to restore Spanish Democracy. He came to power after King Juan Carlos fired Franco holdover Carlos Arias Navarro. Then the King’s loyalist made sure Suárez was on the list of acceptable candidates for the Monarch to chose from, as the old system mandated. Soon the King and Suárez, who later became a Duke, called elections and began liberalizing Spanish politics. The rest is history. 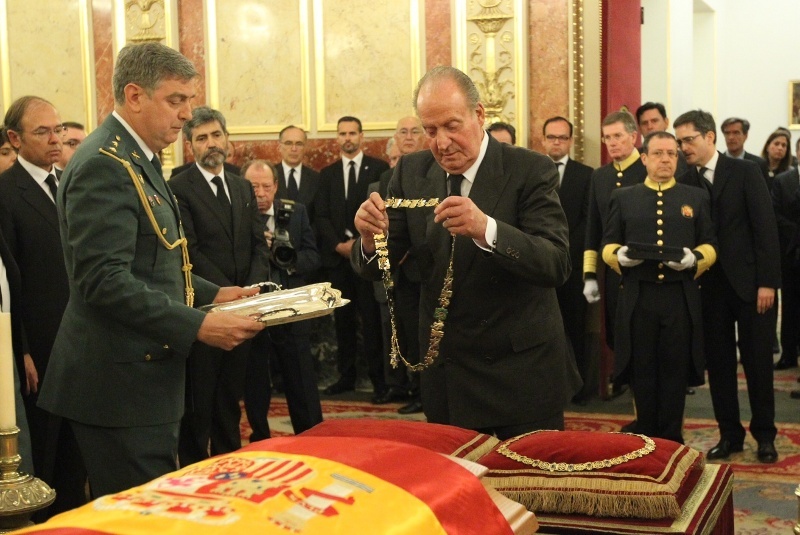 On Monday King Juan Carlos, Queen Sofia and Infanta Elena met with various current and former Spanish leaders at the Congress building to remember Suárez. His Majesty, after swift approval by the government, granted Suárez the collar of the Royal Order of Charles III. He was already a member of the Order of the Golden Fleece. Prince Felipe and Princess Letizia also went to pay their respects. Later in the week, the Prince and Princess attended funeral services for the mayor of Bilbao. Queen Sofia landed late at Torrejón field near Madrid because of problems with her Spanish Air Force VIP airplane. 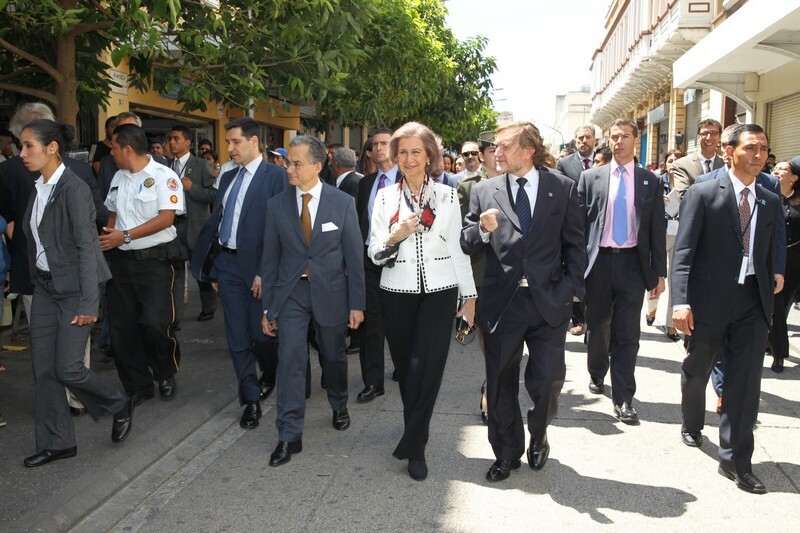 Queen Sofia takes to the streets in Guatemala. The Queen was returning from a week-long tour of Guatemala, where she met with local leaders, Spaniards and toured projects aided by Spanish development funds. 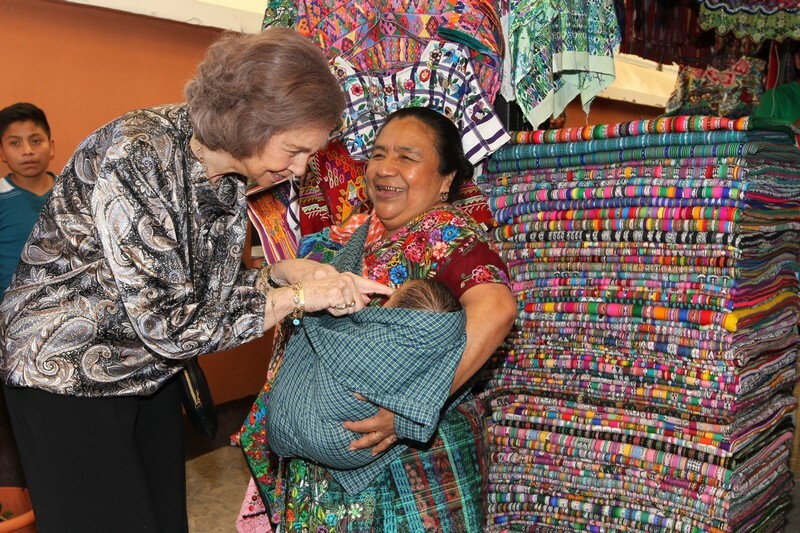 Queen Sofia greeting a market vendor’s baby. Media reports indicate this was the fourth recent problem with Spanish VIP jets for government or royal travel. One of the forced Prince Felipe to put off a trip to Brazil. Your blog host was recently a guest on Voice of America’s Independence West current affairs show speaking about the Spanish Monarchy. Click here to listen. Queen Sofia is spending most of this week on an official visit to Guatemala, where she is meeting with country leaders and local Spaniards. 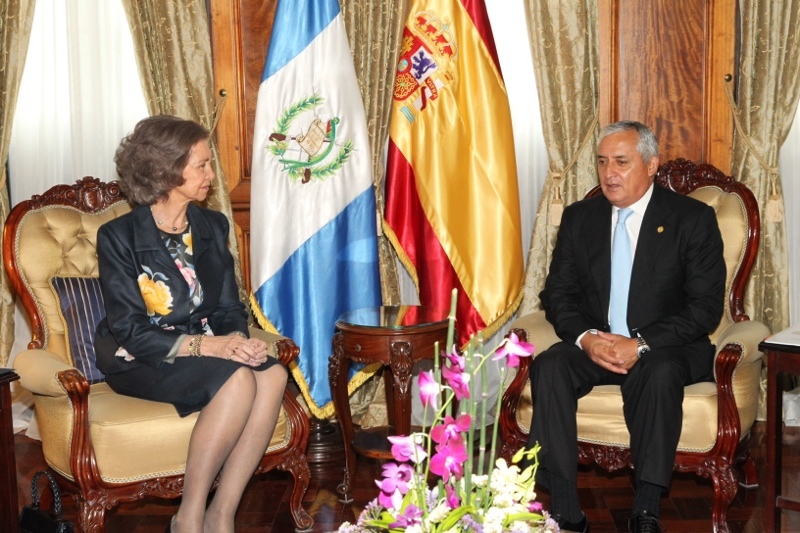 Queen Sofia meeting with Guatemalan President Otto Pérez Molina. Like many of her trips abroad, Queen Sofia is visiting projects and facilities backed by Spanish development aid funds. She also brought medicines with her on a Spanish Air Force jet. 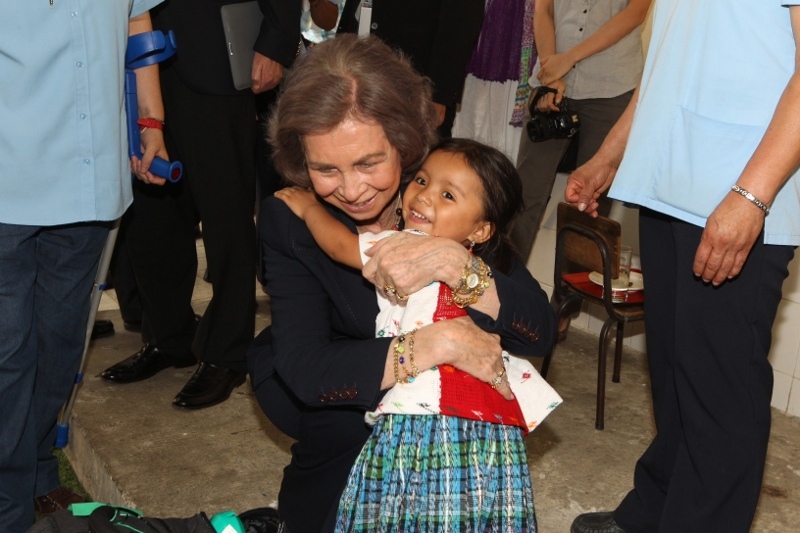 Queen Sofia visiting a program for children. 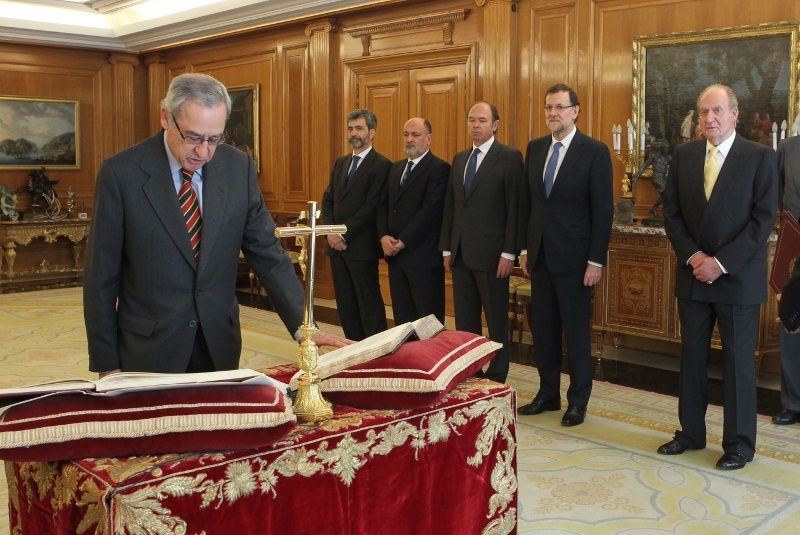 Also this week King Juan Carlos swore in the new magistrate of the Constitutional Court, Ricardo Enríquez Sancho, at Zarzuela Palace. 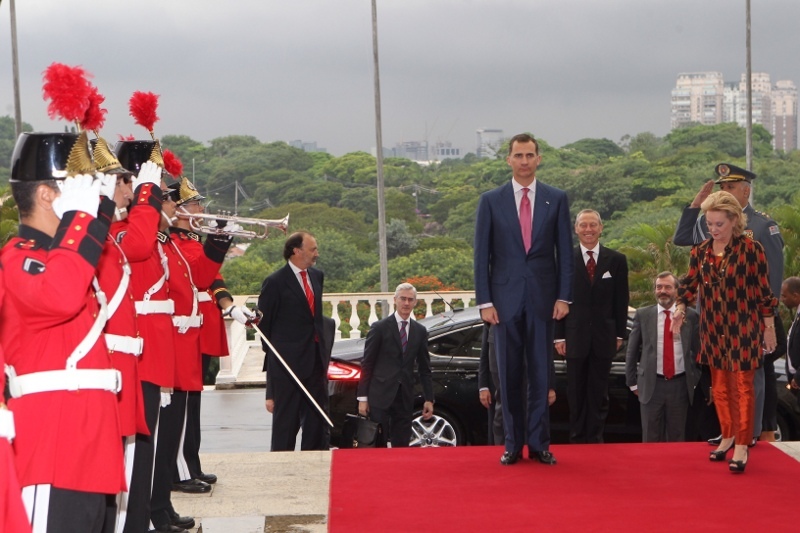 Prince Felipe stopped in Brazil this week to meet with local officials and business leaders. 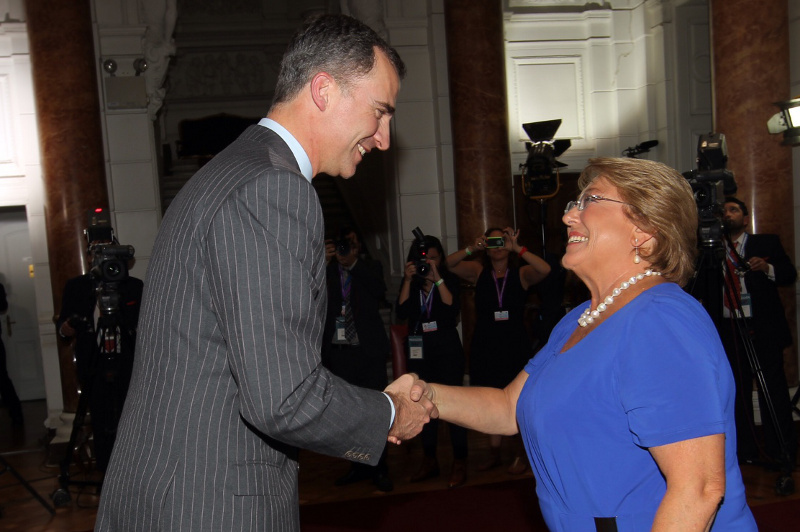 His Royal Highness made stops in São Paulo after being in Chile for the inauguration of President Michelle Bachelet. 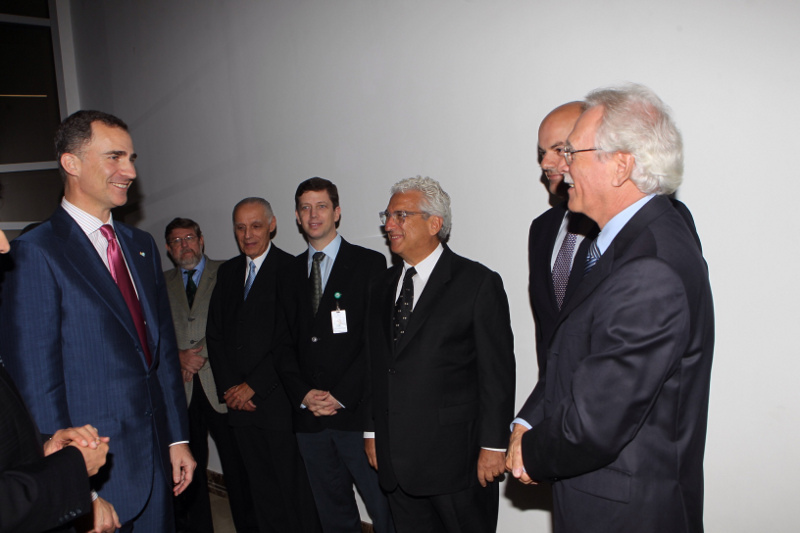 In Brazil, Don Felipe also met with leaders of the Israeli community. 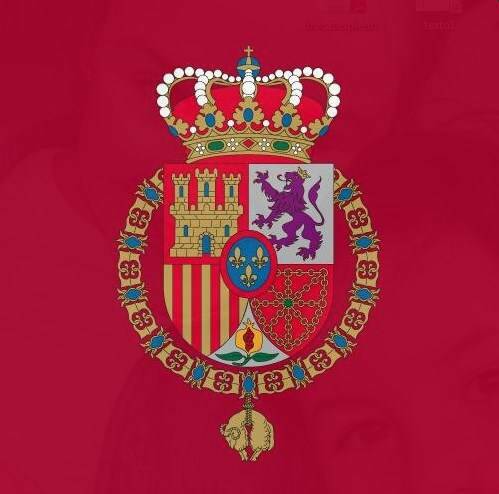 The Spanish Royals, like the government, have been working to promote closer ties with the Jewish diaspora. King Juan Carlos, for example, recently met with a Sephardi Jewish leader. Many Spanish Jews were ejected from Spain centuries ago. Members of the Royal Family have made Brazil a key stop in their effort to promote greater economic ties between both countries. 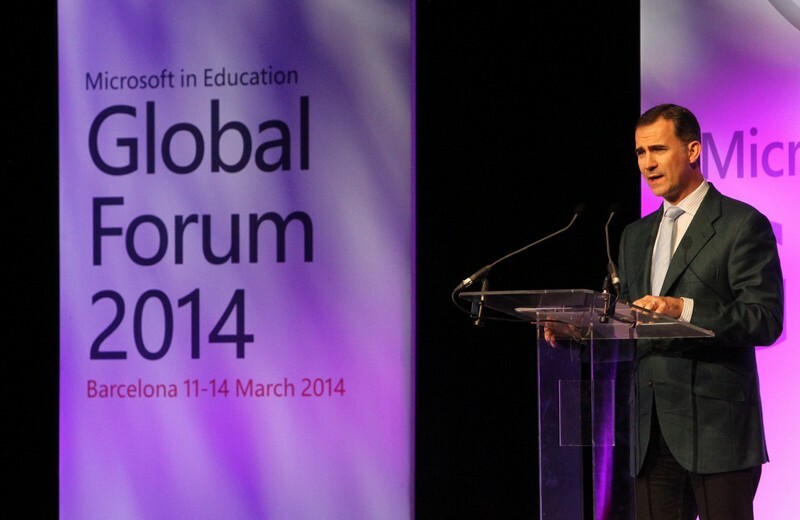 Prince Felipe met with business leaders this week in Barcelona. 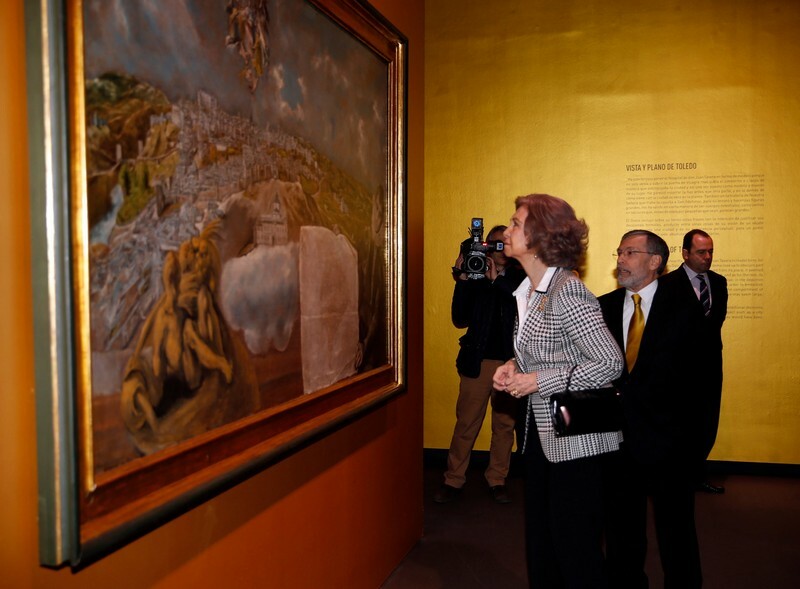 Today Queen Sofia visited the stories city of Toledo to help launch a major exhibit of works by painter El Greco, who once worked in Toledo. In the coming days, Queen Sofia is scheduled to visit Guatemala. She has recently made trips to the Philippines and Bolivia. 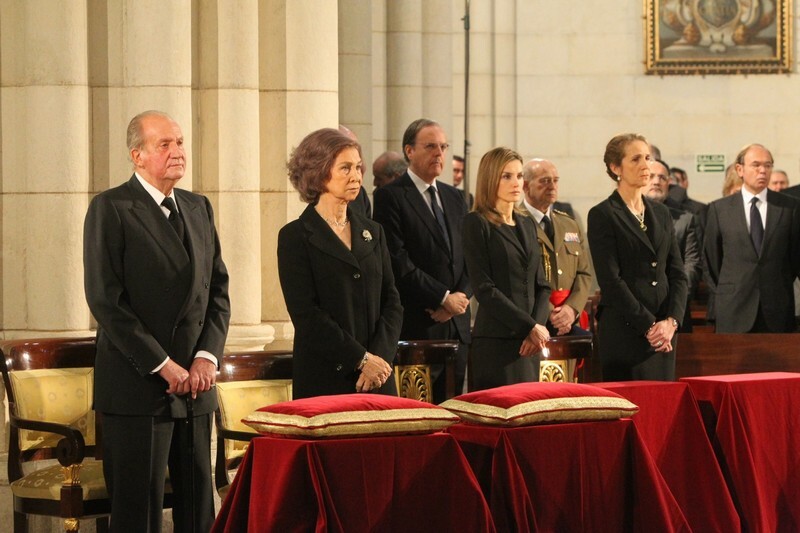 King Juan Carlos and Queen Sofia, plus Infanta Elena and Princes Letizia attended services today at Almudena Cathedral in Madrid to remember the 10th anniversary of the Madrid train bombings. At Almudena Cathedral, adjacent to the Madrid Royal Palace. Members of the Royal Family met with government officials, first responders, victims and their families. Foreign observers have expressed interest at how willing the Spanish Royal Family is to break protocol to comfort grieving families. Prince Felipe was not at the ceremonies today. He was instead meeting with Chile’s outgoing President Sebastián Piñera and helping inaugurate new President Michelle Bachelet. Prince Felipe has for year’s been the King’s representatives at presidential inaugurations throughout Latin America. 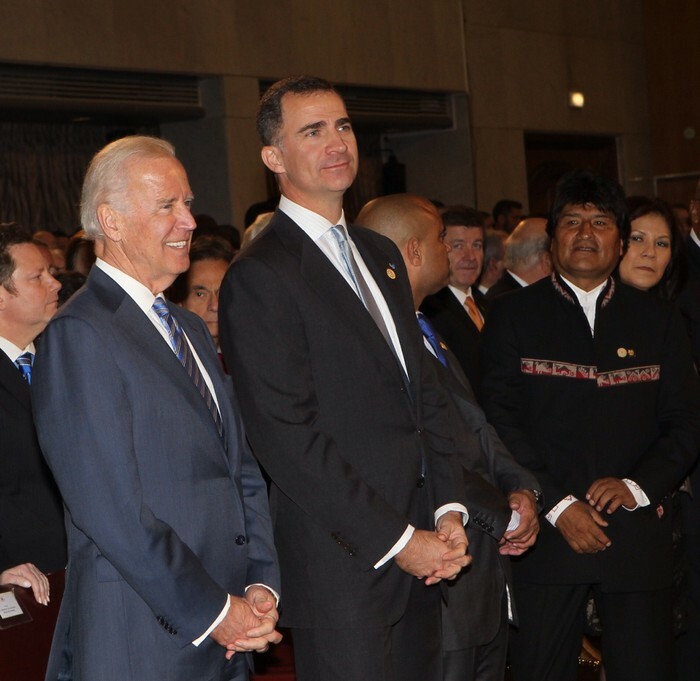 Prince Felipe with U.S. Vice President Joe Biden. 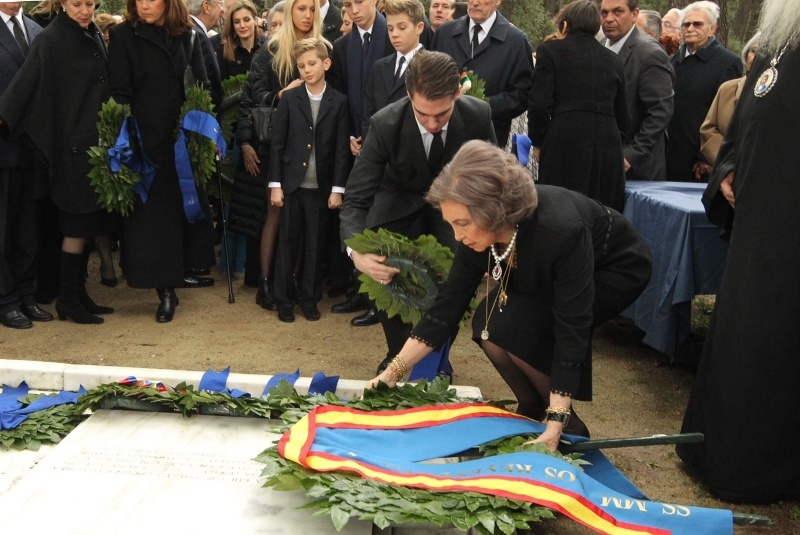 Queen Sofia gathered with members of the Spanish, Greek and Danish Royal Families last week to commemorate the 50th anniversary of the death of her father, King Paul I of Greece. Members of the Greek Royal Family, including King Constantine II of Greece, Queen Sofia’s brother, hold deep ties to the Danish Royal Family. King Constantine’s wife Anne-Marie, for example, was born Princess of Denmark. 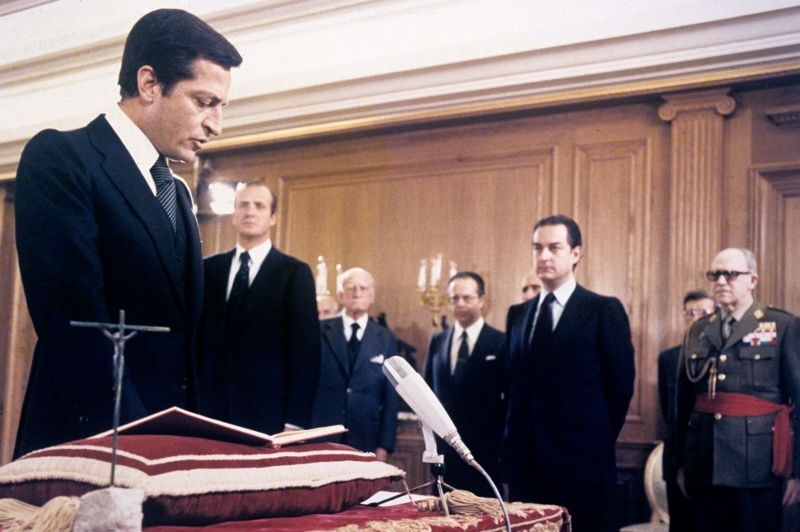 The Danish Royal Family remains in power while Greece abolished its monarchy in the 1970’s. The Royals and nobles held a small ceremony at the Tatoi Royal Palace outside of Athens, where Queen Sofia spent much of her childhood. They also watched a new documentary about King Paul. 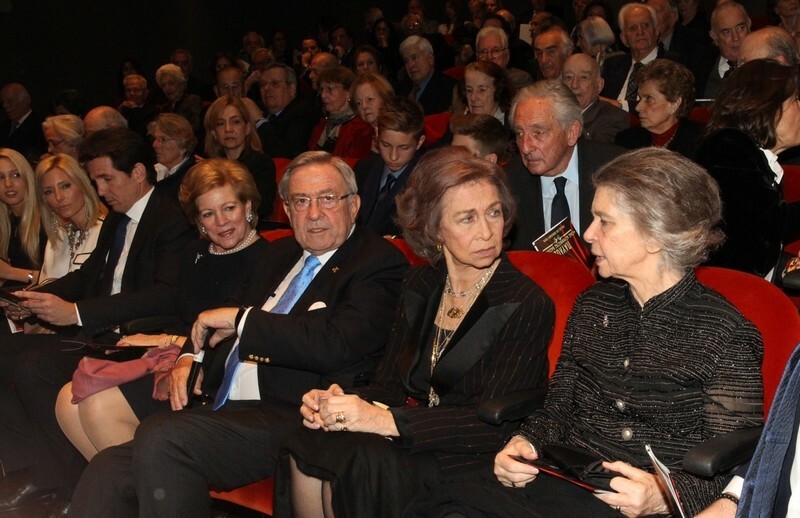 Queen Sofia speaking with her sister, Princess Irene, and sitting next to King Constantine. Media outlets took note of Infanta Cristina attending the events even amid the corruption investigation involving her husband. Queen Sofia, it is said, is insisting in family unity. For 300 years members of the Royal Family have visited the church to venerate the Christ of Medinaceli. 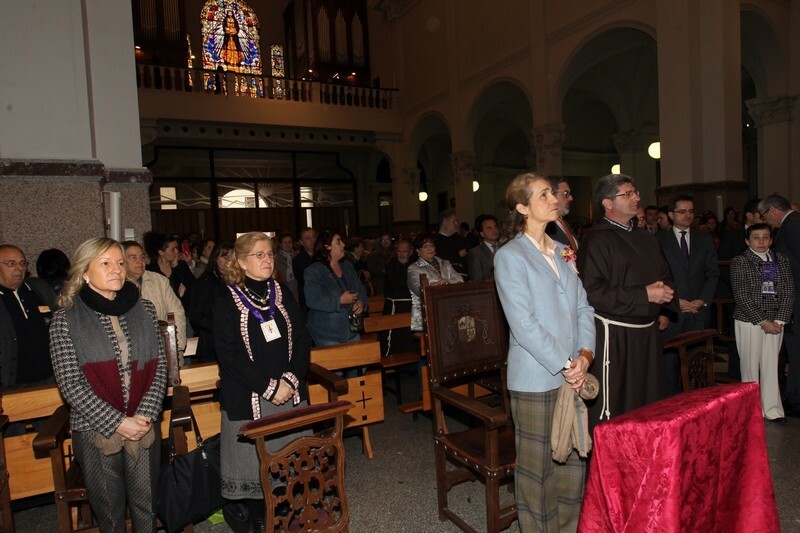 Back in Madrid, Infanta Elena represented the Spanish Royal Family at the Medinaceli Basilica.